Want to get straight to it? Read the first chapter of The Minimalist Home for free here. 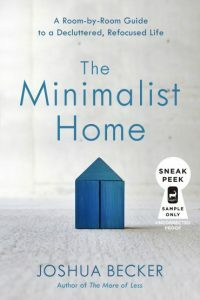 Joshua Becker’s new book, The Minimalist Home, will be released on December 18, 2018. It’s probably something we’ll all need right around the holidays and as we make resolutions for the new year in 2019. He’s encouraging people to share tips and join the conversation on social media using #minimalisthome. Joshua knows a thing or two about minimalism — his blog, Becoming Minimalist, just had its 10-year anniversary. And, he’s the co-founder of Simplify Magazine. In the true spirit of minimalism, I’ve always been amazed at Joshua’s ability to make complex topics incredibly simple — minimizing complicated information to maximize practical action. Great news! The free chapter also includes the contents of the entire book. The book is divided into 3 sections: YOU, SPACES, and FUTURE. It looks like the majority of the book is dedicated to the topic of SPACES. From what I can tell, Joshua will be taking us on a room-by-room decluttering tour. He goes through over 10 rooms — everything from bedrooms and closets to the kitchen and office to the garage and yard. It looks like there’s even a special section at the end about “minimalism maintenance” once you’ve decluttered everything. The quotes below are straight from the first chapter. I’ve taken the liberty to organize the quotes under my own five themes. Will you pick up the book and follow Joshua’s advice? 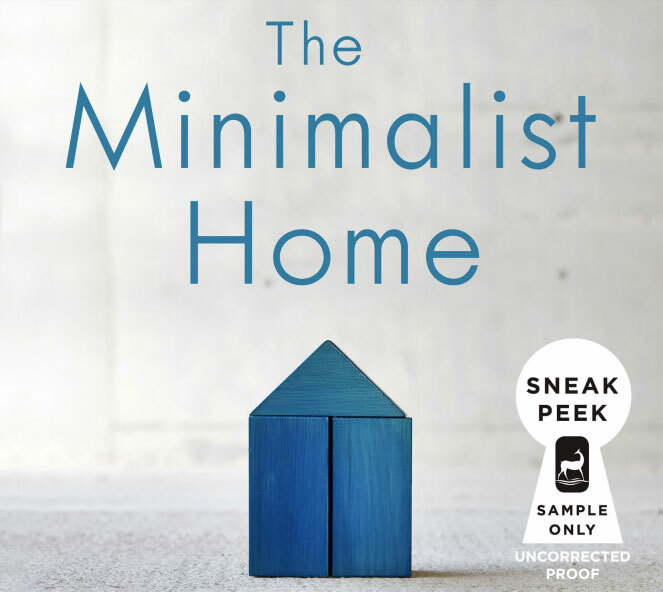 Read the first chapter of The Minimalist Home for free here or you can pre-order the book here.